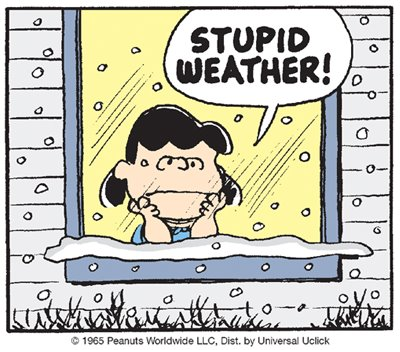 Our Weekend Weather forecast Has Lucy Upset - Many Of You Will Be Too! Blog Updated At 6:18 PM MDT Thursday. Lucy will have a fan club for sure come tomorrow night into Sunday. Many New Mexicans undoubtedly will agree with her sentiment. My wife chief among them...who really really hates snow. Of course I'm simply tickled pink at Mother Nature's latest set of antics she is gearing up to unleash upon New Mexico and surrounding areas this weekend. To put this upcoming event into perspective consider that at the time I'm writing this blog its 91ºF in Carlsbad, New Mexico. Cold Deep Closed Low Set To Invade From The North. 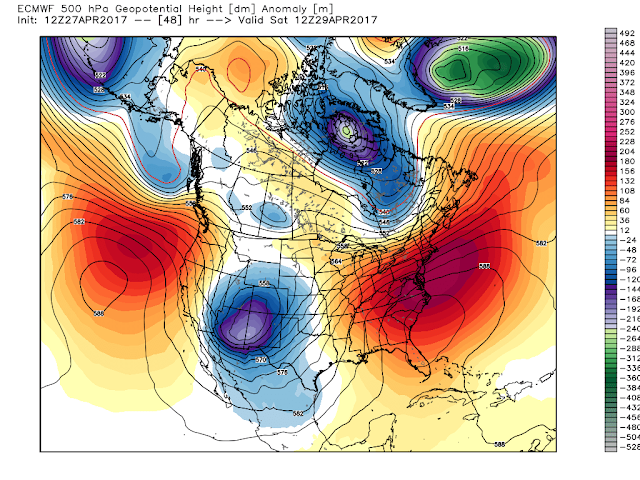 European (ECMWF) 500 MB (18,000' MSL Forecast). 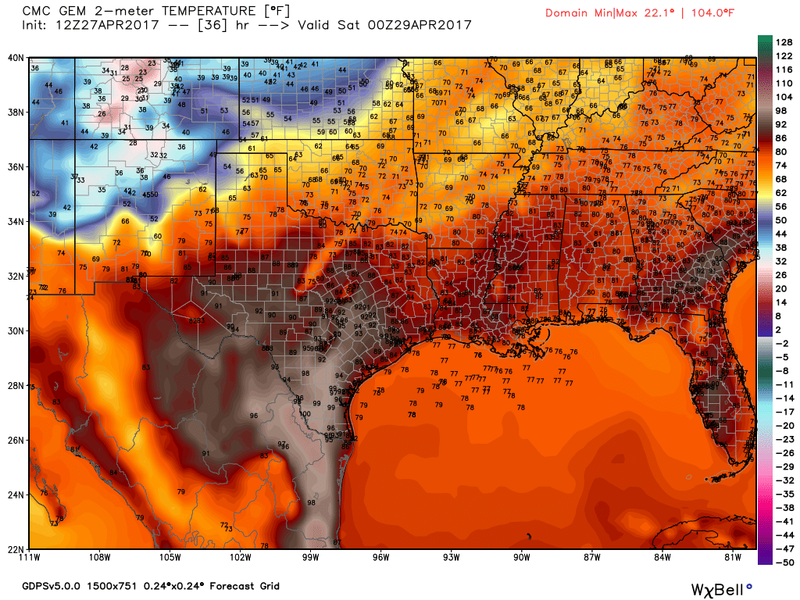 Valid At 6 AM MDT Saturday. U.S. GFS 500 MB (18,000' MSL) Forecast. First lets take a look upstairs at the 500 millibar level or roughly at 18,000' above mean sea level. This typically is considered the middle of the atmosphere and we look to find the storm track. All three of the computer forecast models above are pretty much in agreement as far as the placement of the cold, deep, and strong upper level low come sunrise Saturday morning. During the day into Saturday night and Sunday is where these models and others start to differ on the track and timing of the storm. Remember the further west and south this cold upper level storm dives into the state will play a big role in how far south the snow comes and how much falls. U.S. GFS Precipitation Type Forecast. Valid At 6 PM MDT Saturday. I've chosen this model's surface map forecast to "generally" show where snow will be falling in the area on Saturday. 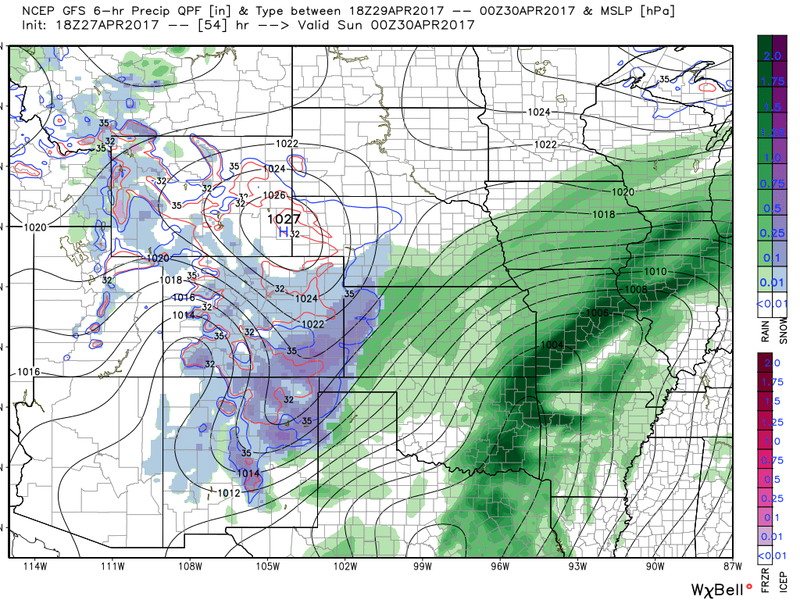 First a unusually strong and cold (for this time of the year) arctic cold front will slice its way southward through the Eastern Plains of New Mexico during the daytime Saturday. This forecast could easily change as far as where snow falls during the daylight hours Saturday. The exact track of the upper level storm to our north (how far west and south does it dig during the day Saturday), and how soon will the very cold air at the surface rush southward, and how far before sunset will all factor in on this. So How Much Snow & Where? 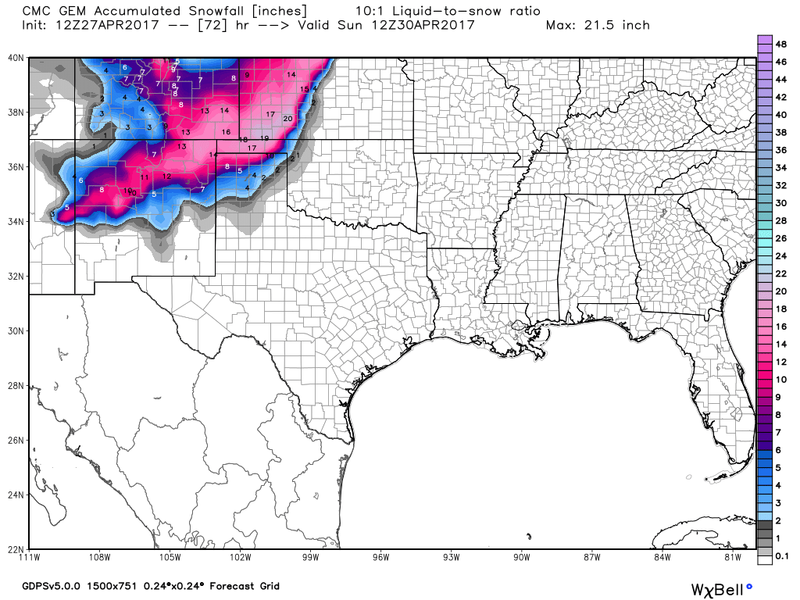 U.S. GFS Storm Total Snowfall Forecast. Canadian (GEM) Storm Total Snowfall Forecast. NAM Storm Total Snowfall Forecast. 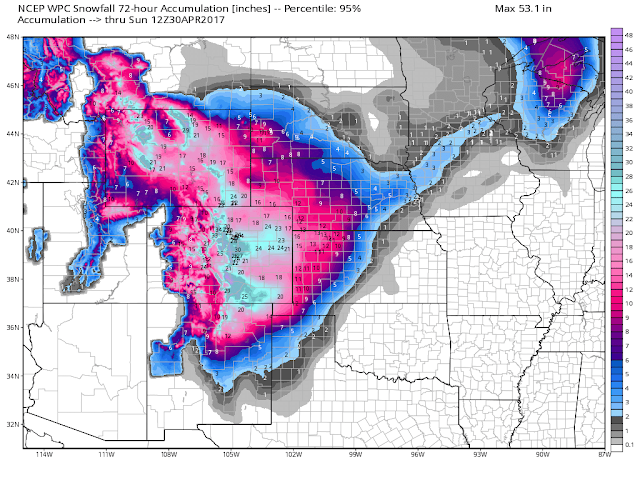 WRF-NAM Storm Total Snowfall Forecast. 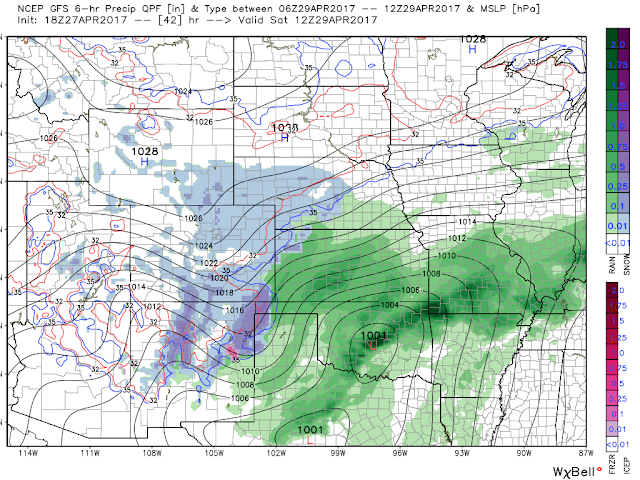 Valid At Midnight MDT Saturday Night. WPC Storm Total Snowfall Forecast. A Worst Case Scenario Forecast Which May - Or May Not Occur. As you can easily see the models are all over the place with how much snow falls and where. Which is fairly common with a storm of this magnitude, strength, and time of the year. So use these only as a rough guide and be aware that these forecasts will change later tonight and on Saturday. 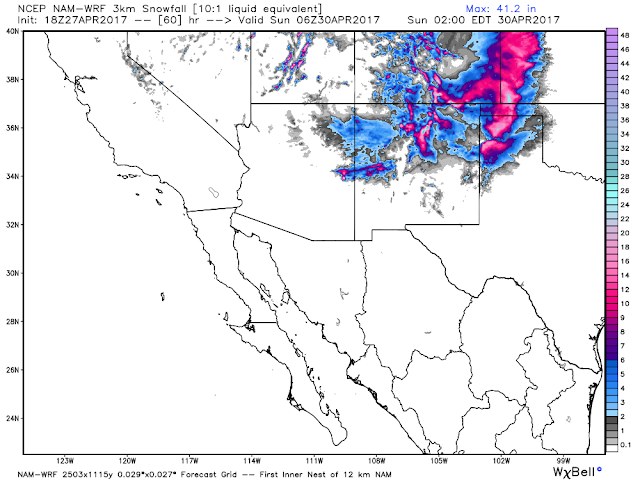 NWS Albuquerque Experimental Storm Total Snowfall Forecast. 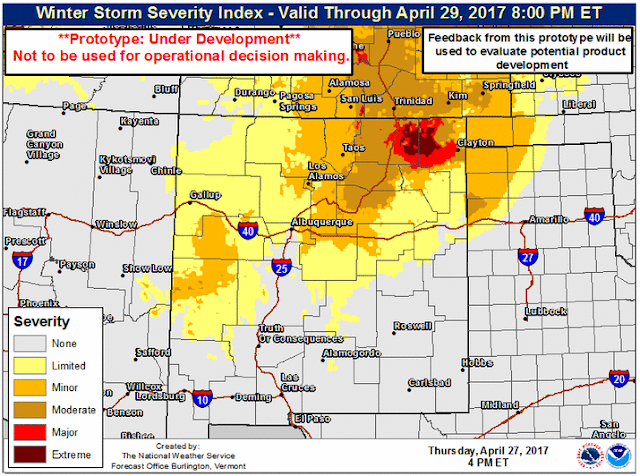 Valid From Tonight Into 8 PM MDT Sunday. 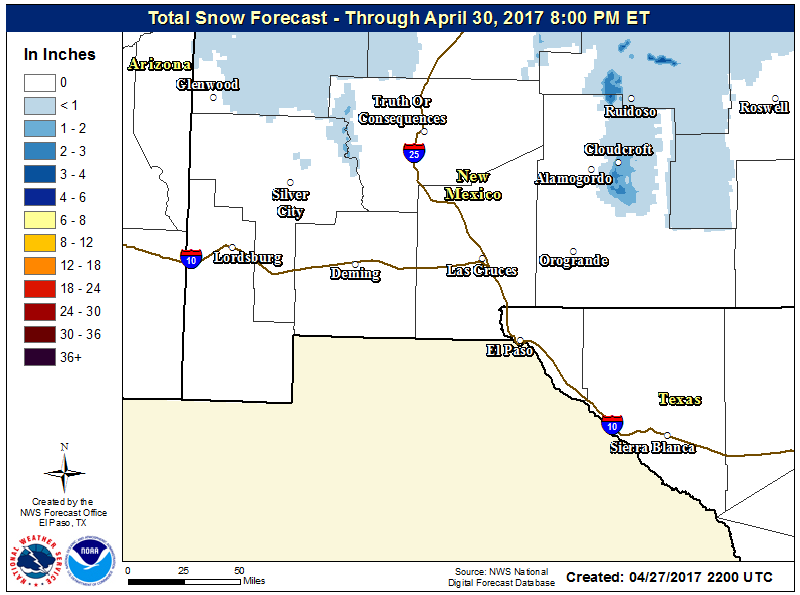 NWS El Paso Experimental Storm Total Snowfall Forecasts. Valid Tonight Through 8 PM MDT Sunday. Valid Tonight Through 8 PM MDT Saturday. 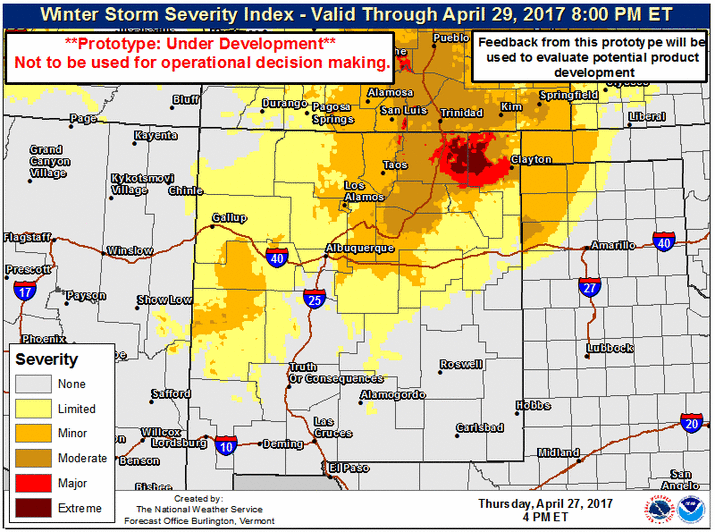 Special Web Briefing Via NWS Albuquerque. 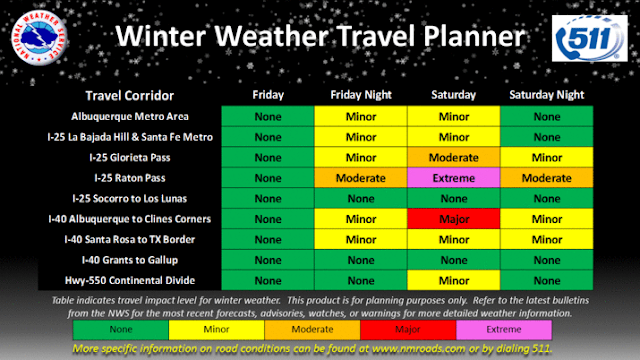 Please visit the Albuquerque National Weather Service Web Page for the latest updates on the anticipated snowfall forecasts and impacts depicted above as conditions and forecasts change tonight into Saturday. As far as Southeastern New Mexico is concerned it appears at this time (5:30 PM MST Thursday afternoon) that the Roswell area could very well see snowflakes flying in the wind Saturday night. Light Accumulations of snowfall look possible in the Clovis and Portales areas. 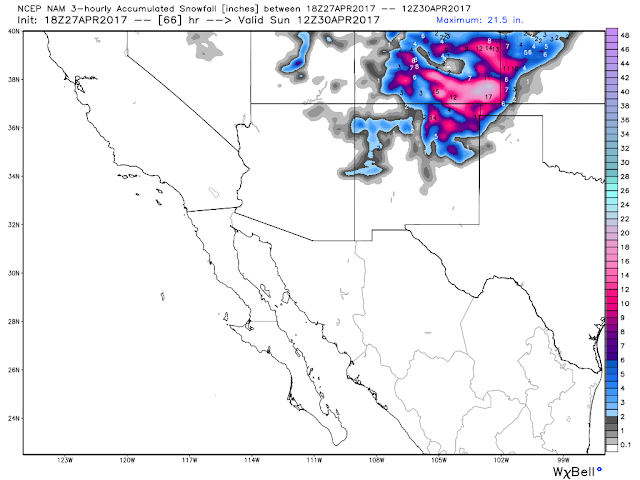 The Sacramento and Capitan Mountains may also see accumulating snowfall (1"-3" maybe more at the higher elevations). I suspect that this may also happen in the Guadalupes too. The jury is still out across Eddy and Lea Counties. For now it appears that thunderstorms with rain showers are possible tomorrow night and Saturday...I'm not so sure we will see snow just yet. However there is that remote possibility Saturday night. 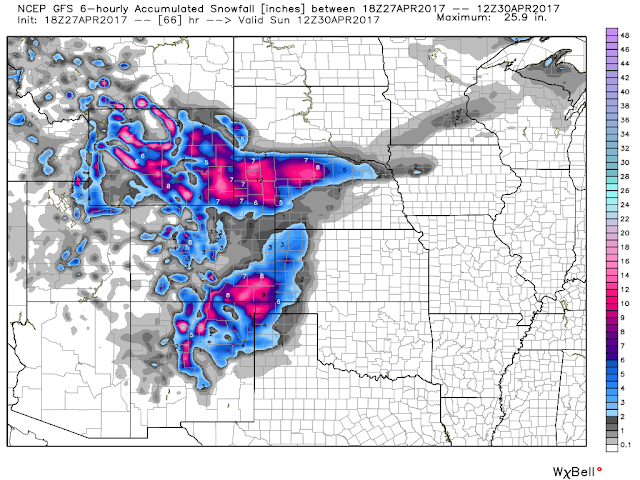 Valid At 6 PM MDT Friday. 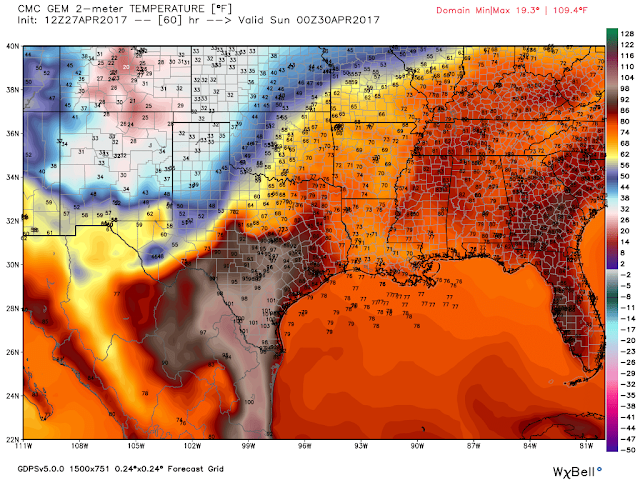 Valid At 6 PM Saturday. Again we are back to the "how far south does the upper level storm dig and how cold and how soon" equation to answer my header question above. Here I've chosen the Canadian models temperature forecasts which of the models in question is the "worst case scenario". Depending upon the timing of the arrival of the coldest air behind the southward moving cold front on Saturday we could see our high temperatures in Southeastern New Mexico Saturday range from the 70's to the 40's. 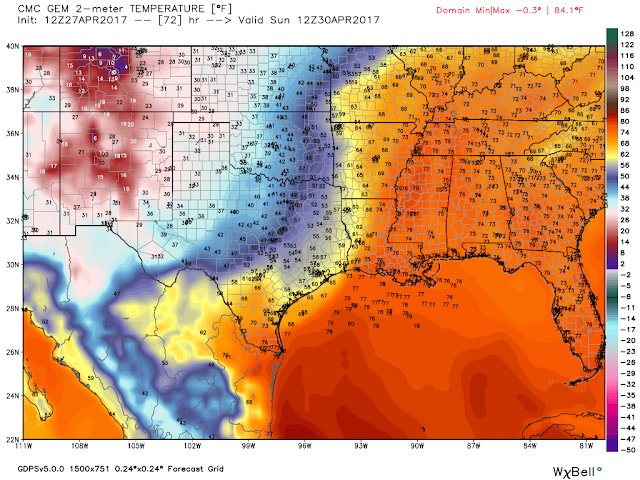 Notice that this model has temperatures Saturday in the Clovis/Portales area near freezing by sunset and near 40 in Roswell! Combine this with north to northeasterly winds gusting up into the 30-50 mph range and Lucy is really going to be upset and so will many of you. Sorry but this is part of living in New Mexico. Unfortunately many of New Mexico's communities will experience a freeze this weekend and some a hard freeze. Don't be surprised come Sunday morning that many of us in Southeastern New Mexico also dip down to freezing or below. A hard freeze looks likely in the Sacramento, Capitan, and Guadalupe Mountains. Severe Thunderstorms Are Forecast From Texas Northeastward Into Indiana Friday And Friday Night. With Round Two Saturday Into Saturday Night. 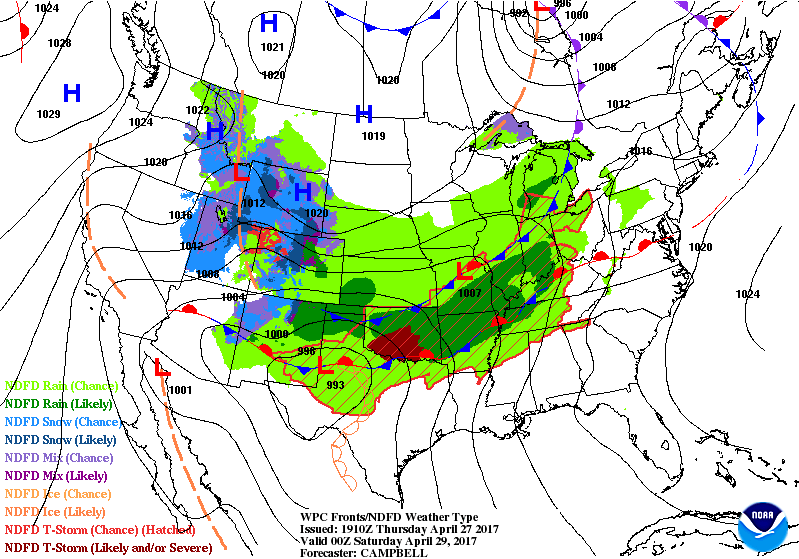 Please Visit The Storm Prediction Centers Web Page For More Details On This Via This Link. And Visit The National Weather Service Office Nearest You For All Of Your Latest Local Forecasts Via This Link. How Cold & How Late? Researching the climate books this afternoon we find that Roswell has dropped down to 32ºF as late as May 25th in 1913. Artesia has been as low as 31ºF on May 13th in 1933. Artesia also dropped down to 33ºF on May 28th in 1929. Carlsbad has been as low as 31ºF on May 7 in 1917. Roswell has recorded measureable snowfall (0.2") as late as May 3rd in 1935. Artesia recorded 2.2" of snowfall on April 12th, 1980. 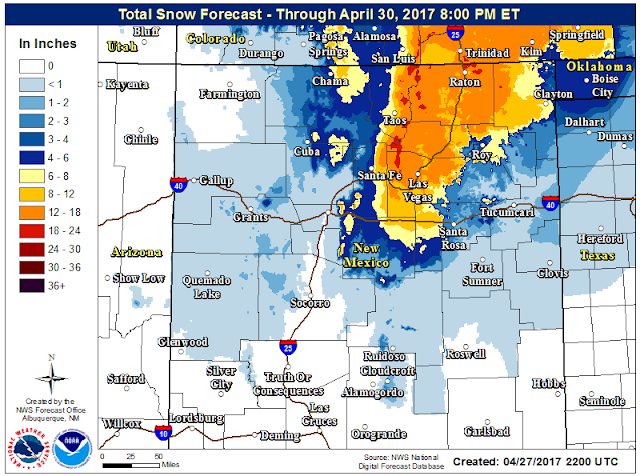 Cloudcroft has recorded as much as 8.0" of snowfall as late as May 3rd, 1980 with lighter amounts into June.